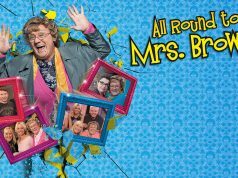 The Punchestown Festival takes place from Tuesday 30th April to Saturday 4th May and we’re listing the 5 reasons you need to book your tickets right now. This year and is expected to attract a record crowd of 130,000 people. The Festival is a unique combination of top class racing action, brilliant live entertainment, delicious food, style and glamour all topped off with that famous buzzing atmosphere. 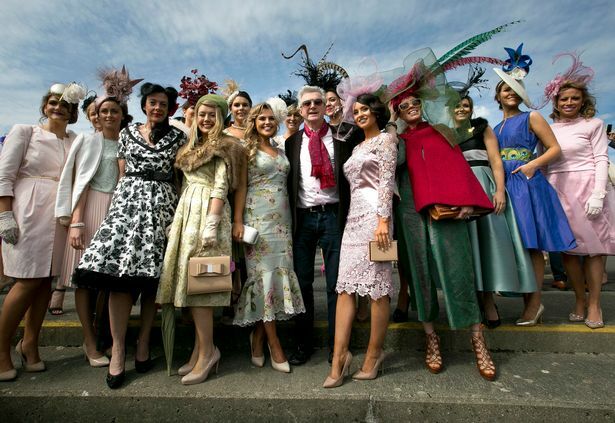 From Ladies Day with Bollinger to celebrating in style at the bar, here’s why you need to head to Punchestown this year (you can book your tickets HERE). 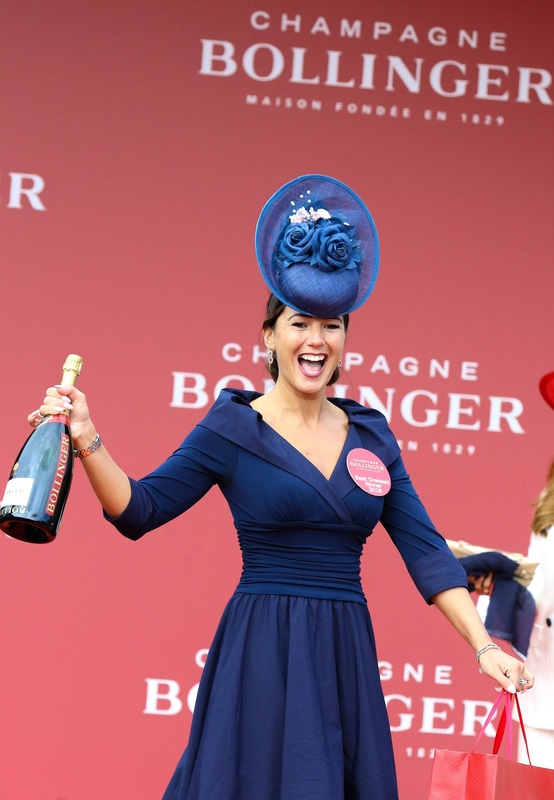 In the reserved enclosure the Bollinger Lounge will be the official HQ of all things fashion as the Punchestown Style Quarter. Ladies are encouraged to make their way to the Bollinger Lounge from 1 o’clock on where the style scouts will be circulating for the Best Dressed Lady competition. And just next door is the now famous Sky Bar the centre piece of the social hub at Punchestown. The Hunt Stand, launched on the opening day of Punchestown 2018 is home to the Festival Bar. This venue is ideal to mix both sport and socialising as the track is just metres away while there is easy access to the Sky Bar and Bollinger Lounge. Music is a key part of the Punchestown experience and most bars and restaurants will round off an evening of racing with a live music session. One winning tip we can give is to bring your dancing shoes. From one man bands, two piece chart covers, modern trad, D.J’s spinning floor fillers, the Ballymore Orchestra and a singalong in the Sky Bar that is now a tradition there is something to suit everyone’s musical taste and abilities! Make sure to visit The Feedroom Café at the top of the winners enclosure where a menu of delicious hot dishes (try Philips Famous Chicken Curry – the choice of champions), cold snacks and decadent desserts. On the ground floor of the grandstand is Hay Café where you can get top class coffee, baked treats and savoury snacks. The Foxes Den in the Hunt Stand will serve a selection of hot and tasty dishes on the go and over 30 food concessions will offer all the favourites. It’s not all about racing at the Punchestown Festival. During your festival visit make sure to take a stroll down Osprey Avenue where thirty different exhibitors will be showing the best of Irish design, art, jewellery, millinery and clothing. Calling all fashionistas – you could be heading home as Best Dressed Lady this year if you play your cards right. 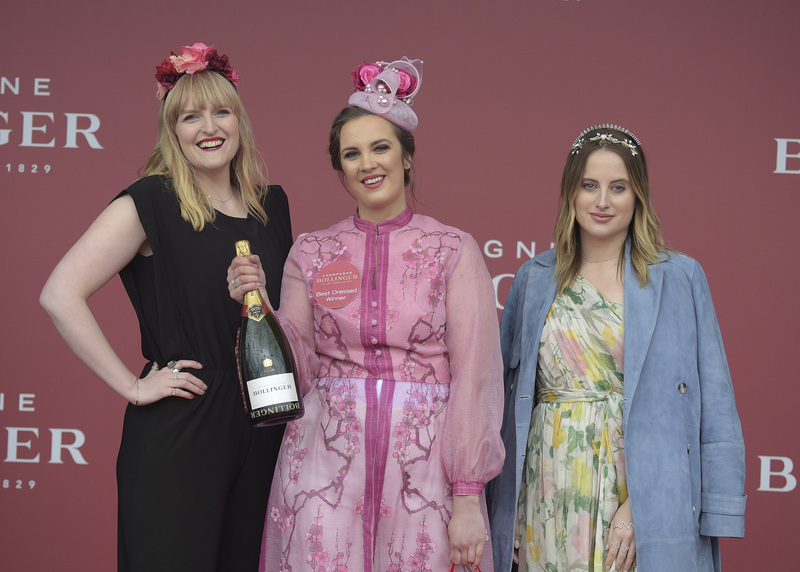 The search for the Bollinger Best Dressed Lady will be held over the first four days of the Punchestown Festival, while judges and style scouts will be tasked with finding the most stylish ladies in attendance and selecting a number of finalists each day. The daily winner will then progress to the grand final on Ladies Day, Friday 3rd May. Ladies will be directed to the ‘Style Quarter’ of Festival 2019 situated at the Bollinger Lounge in the Reserved Enclosure. Judging will proceed from 1pm daily so make sure to be there early in order to make those vital first impressions. In addition, the lucky lady and a friend will enjoy a money can’t buy trip to the Bollinger Estate and Champagne Libraries, France. 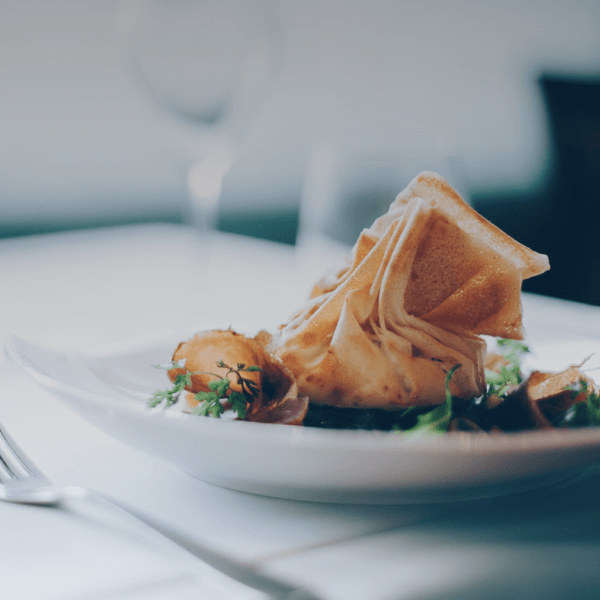 This trip includes an overnight stay in the beautiful historic town of Reims, the capital of the Champagne region, Michelin dining and luxury overnight stay in Paris, the City of Light. Of course, a private chauffeur, champagne lunch experience and a year’s supply of Bollinger Champagne are a given!